Why we recommend our cuisine? Some dishes are best served cold and others hot. We are trying offer our dishes at the correct time and temperature so as to bring out the unique properties of the origins of it's ingredients. At dinner we offer a full-course meal starting with hors d'oeuvres. 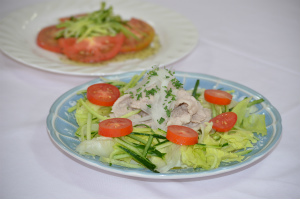 Enjoy our creative cuisine - Italian, French, Chinese and Japanese style arrangement. We use lots of fresh local ingredients everyday for our meal, especially vegetables, fruits and mushrooms. 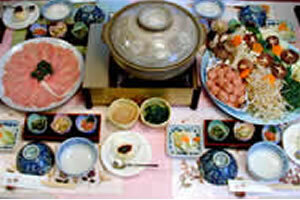 These are some of the local specialties in the Shin-etsu highlands. 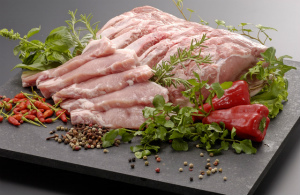 Our cuisine is homely and quality oriented that is effective for promoting the deliciousness of raw food materials. We order hulled Koshihikari rice from the local farmers cooperative and keep it refrigerated to prevent the rice from deteriorating.We polish the rice only when ready to prepare for our guests. Juice, yogurt, vegetables salads, egg dish, ham / bacon / sausage, homemade apple jam, freshly baked bread, coffee and tea, and fruit. 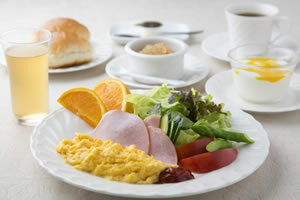 Please note: For guests who stay more than four nights we offer Japanese style breakfast every 4 days. We have been making our original apple (ringo) jam and apple juice since we opened our inn and serve our homemade products at breakfast. These apples come from the local fruit farmer cooperative. 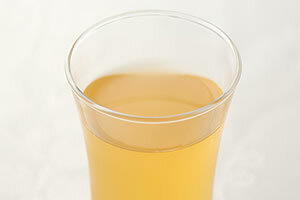 Our apple juice is 100% pure Sun Fuji apple juice (no additives, preservatives or sugar added). ◎ We offer special meals for guests staying three nights or more, such as BBQ in early summer through early autumn and an original Madarao style hotpot from late autumn through to early spring. 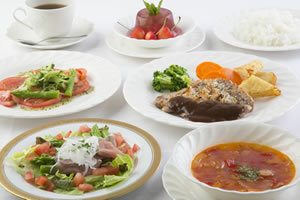 If you wish to add these meals to your regular package stay an additional fee of 1,000 yen is required. 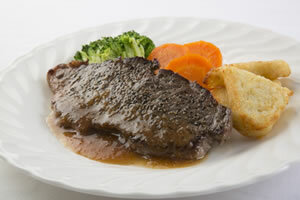 For customers without meal packages the additional cost is 3,500 yen. ◎ We are very proud of the food we offer. 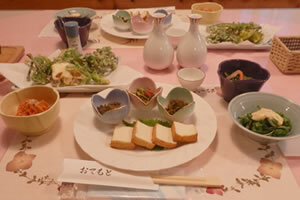 Our dinners are usually a mix of Japanese and Western style creative full-course meal. 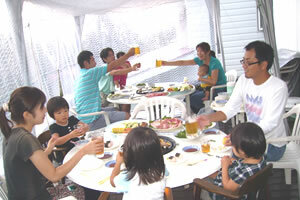 Guests who stay without a meal and breakfast package can choose the optional Japanese style dinner.